Well, what can I say, Nov 16 we booked the ultimate wedding package with the wedding planner Sandra, what a lady, unfazed she talked us through what is on offer and left no question unanswered. We decided to book, now with our wedding over in this marvellous hotel, 4th Nov 18, I have to share our experience. from start to finish this was the best most hassle-free decision we have took.  Tremendous care and detail by every member of staff, spotlessly updated boutique rooms and a function suite to host any great wedding. from candelabras to LED dance floor no request or question was an issue. food amazing, drinks good and can I just add very reasonable for such a chic hotel, too many staff members to name making such a wonderful day but will try, Sandra first for organising such an amazing day, on the day itself Alan, Kim and Sharlene for calming us and talking us through the day, on your wedding day you do not need any hassles or misdirection, none here all complete professionals. honeymoon suite to die for would have liked more time in the room but personal commitments meant an early start. a massive thanks to Ian on breakfast, would advise anyone staying to try the breakfast excellent food and so much more on offer, he made all our guests feel extremely welcome and could not do enough for us even offering to pack the car and carry wedding presents, now where do you get that from a hotel. all in all a tremendous day and night, all our guests loved the hotel and we ourselves are looking forward to going back in the future, will check mattress first, small thing but overall excellent and would recommend any budding wedding party to go and at least talk to the wonderful Sandra, you may be surprised. We had our wedding here yesterday 04.11.2018. I’m convinced this hotel could not be surpassed. The attention to detail is amazing. This is a no stress option. The staff are amazing & the venue itself is beautiful. The standards are so high and the Wedding Coordinator Sandra is excellent and very thorough in every detail. We had a day we will cherish forever. Sorry, we missed you on our way out on Thursday. Just wanted to send a quick email to say thank you for all your support in helping make our day so perfect. The level of service we’ve received has been world class, absolutely everyone was brilliant, giving a professional service with a personal and courteous touch. Your team on the day were second to none and showed genuine care into making our day the best day possible. From the general manager Kyle alongside Neil and Natalie to the service team of waiters, waitresses and bartenders, and everyone else who really stepped up – everyone played their part perfectly and truly went above and beyond. Also a special mention to the DJ who was class. And the complimentary gift card was a lovely touch. Thanks again, and please pass on my thanks to the whole team, truly outstanding level of service. Hayley and I would very much like to extend our thanks to you and all the staff at The Lynnhurst for making our Wedding Day the most perfect day. From start to finish, including all our preparation with our meetings to the big day itself, we really couldn’t have asked for anything better. We were really blessed with the weather, hospitality, the package that we booked, the honeymoon suite, and care and attention that went into ensuring all our needs and guests were well catered for. Once again, a big thank you, to you and all the staff at The Lynnhurst. I just wanted to say a very big thank you to you and all of your staff for making my day so memorable on Thursday will not forget it. Also for helping me breath before I walked down the aisle minor panic attack at doing so but everyone was wonderful. Frazer and the rest of the staff were amazing and made the day go more smoothly even though I was keeping everyone back and we started running a wee bit late. Just wanted to say a MASSIVE thank you to you and for all your help and support in planning our wedding. We had the most amazing day on Saturday, in large part to you! Thank yo, also to Alan, who was our master of ceremonies on the day. It all went so smoothly and we couldn’t imagine it being any better. We had so many of guests compliment us on the choice of venue and how great the staff were over the entire weekend. Compliments to the chefs also, not only for the superb wedding breakfast, but all the food, from Friday to Sunday. We will send a formal thank you to all at a later date but in the mean time, just wanted to let you know how much we appreciate the effort that went in to making our day so special! Kind regards, Claire and David.